The Lennon Bermuda concert is to make its return on International Peace Day and this year, reggae legend Bob Marley will also be honoured through music. The headline band is Beatles tribute band the Fab Faux led by Grammy Award-winning singer/bass player Will Lee who has been the bass player on David Letterman’s The Late Show for the past two years. And sharing the stage at the Botanical Gardens show rink will be The Splash Band led by Biggie Irie who made an appearance at last year’s concert. His reggae-inspired cover of Woman is also featured on the Lennon Bermuda tribute CD produced by Freisenbruch and Meyer Media. Organizer Tony Brannon said that while the concert has been scaled down financially this year, the quality of the music will be even better than last year with the inclusion of these professional bands. “This year we are trying to establish the event — we have less sponsorship help this year but the production and everything people saw last year will be the same. The quality of the music will be better than last year. “Rolling Stone magazine said Fab Faux are ‘the best Beatles tribute band — without the wigs’. “They don’t do all that cheesy cabaret stuff. Completing the line-up will be some local artists making their return to the stage including Kassandra Caines, Rachel Brown and Joy T Barnum. Students of the Bermuda School of Music will again perform as guests arrive while comedian Jimmy Keys will host the show. 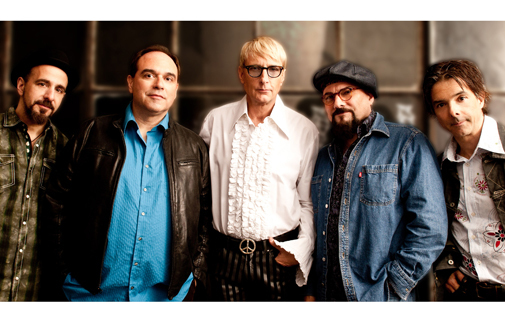 The Fab Faux has a line-up of well-established musicians including Jimmy Vivino on guitar who is currently the music director/guitarist and arranger for Conan with Conan O’Brien. “These guys all know each other because they are all absolutely mad fans of the Beatles,” said Brannon. “Will has played in Bermuda before at the Surf Club — he has played for everybody including all four of the original Beatles. They had the rare honour of recording an original song at Abbey Road Studios — and also performed live on the Howard Stern Show and The Mark And Brian Show. The Splash Band from Barbados will make their first performance in Bermuda at the concert. They seasoned New York and the UK with their unique brand of reggae flavour and made their mark in the reggae capital of the world at Jamaica’s Reggae Sun Splash. 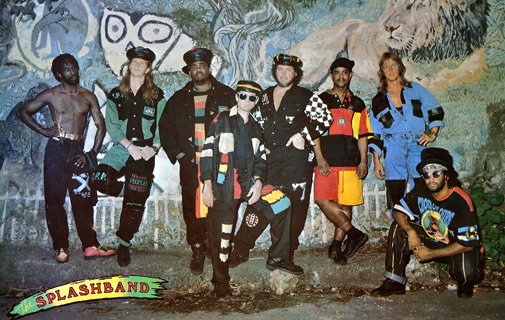 It was at these events that The Splash Band shared the stage with the who’s who of reggae music — the late great Crown Prince of Reggae Dennis “Emmanuel” Brown, Luciano, Maxi Priest, Garnett Silk, Beres Hammond, Diana King, Barrington Levi, Beenie Man, Buju Banton as well as calypso veterans such as Byron Lee and the Dragonnaires, Singing Sandra, Mighty Sparrow and many more. Peace Day will be a significant element to this year’s concert — showing on the large screens by the stage will be video clips from outside the International Court of Justice in The Hague in the Netherlands where the main events including celebrity speeches. September 21 is also Alzheimer’s Day so there will be some announcements about the local charity ALZ Bermuda. The layout will be the same as last year with corporate table seating at the front, bleachers and hillside seating. As for merchandise there will be a new T-shirts as well as the international version of the Lennon Bermuda CD which includes two extra tracks by Brian Ferry and Roy Young. Tickets are online at www.ptix.cm and range from $50 for hillside seats to $6k for Platinum Diamond VIP corporate tables. There is also 50 per cent off for tickets of $100 or less for members of the musicians’ union.